"Astronomers have been studying the Local Group—the Milky Way, Andromeda and their companions—for so long. 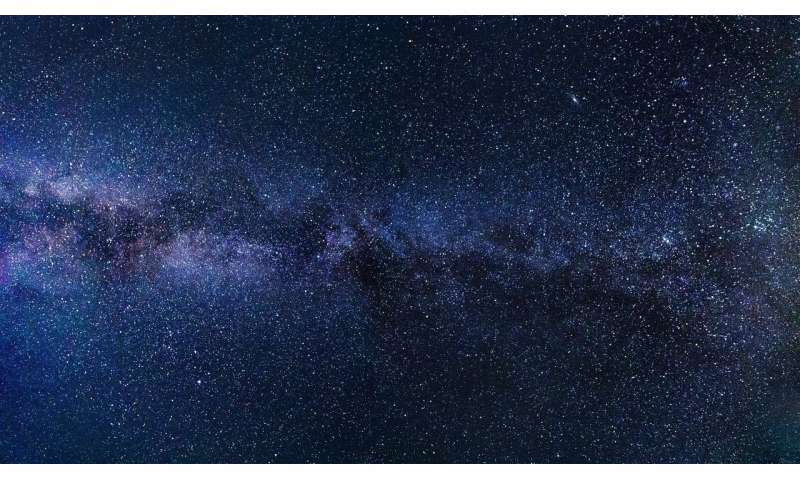 It was shocking to realize that the Milky Way had a large sibling, and we never knew about it," said co-author Bell, U-M professor of astronomy. Doesn't that imply that M32 would have a supermassive black hole of proportional size? And does that make M32 a "large" ultracompact dwarf galaxy? Dark matter is a supersolid that fills 'empty' space, strongly interacts with visible matter and is displaced by visible matter. What is referred to geometrically as curved spacetime physically exists in nature as the state of displacement of the supersolid dark matter. The state of displacement of the supersolid dark matter is gravity. Two billion years ago, M32p was RIPPED FROM HER MOTHER'S ARMS. A judge ruled that M32p must be reunited with its family within 200 million years, but that deadline came and went with no sanctions brought against Andromeda.